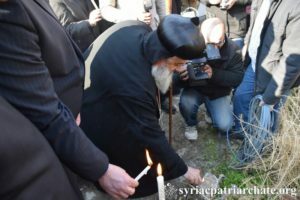 His Holiness Patriarch Mor Ignatius Aphrem II visited the liberated Old City of Aleppo. He was accompanied by their Eminences Mor Timotheos Matta Al-Khoury, Patriarchal Vicar in the Patriarchal Archdiocese of Damascus, Mor Timotheos Matthew, Patriarchal Secretary for Indian Affairs, and Very Rev. Raban Boutros Kassis, Patriarchal Delegate of the Archdiocese of Aleppo and Environs, as well as the priests of the Archdiocese. The visit included the Omayyad Mosque and the Citadel of Aleppo which were severely damaged by the terrorists’ attacks. 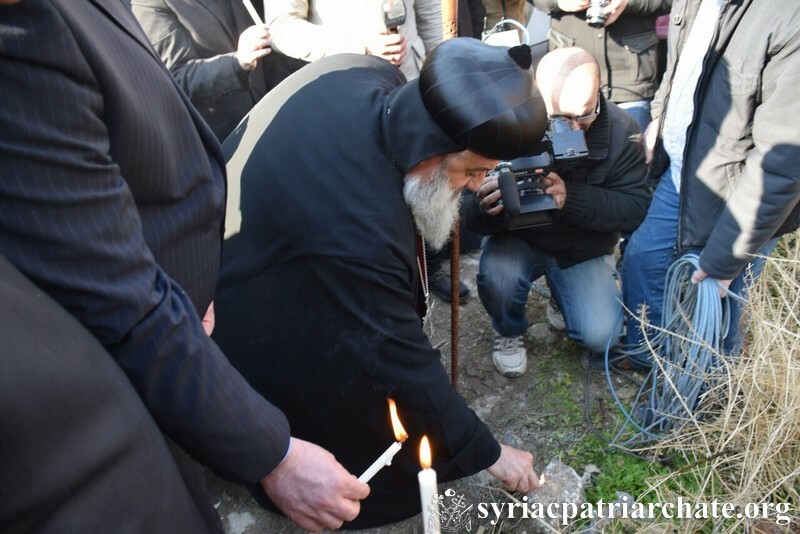 His Holiness also visited the major churches which were destroyed: the Arab Evangelical Church in Aleppo, the Lady’s Greek Orthodox Church and its Archdiocese center as well as St. Elias Maronite Cathedral which is the largest church in the center of Aleppo.